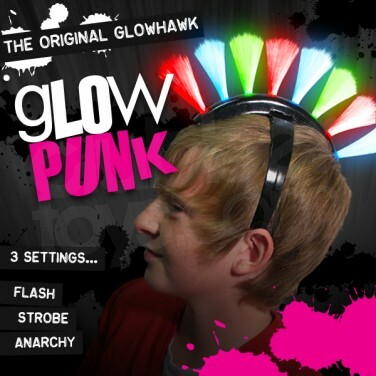 Channel your inner rock star with the amazing Glowhawk head band! 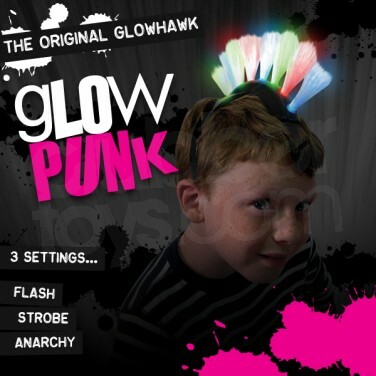 Stick it to "the man" and show your rebellious side in a funky punk rock styled mohawk made entirely from fibre optics! 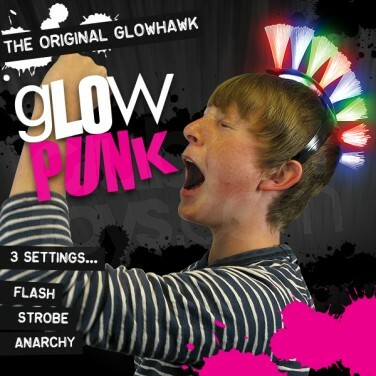 See the fibre optics light up in vibrant red, blue and green and shine through three funky colour change modes for incredible effects that are guaranteed to get noticed. Batteries are included. 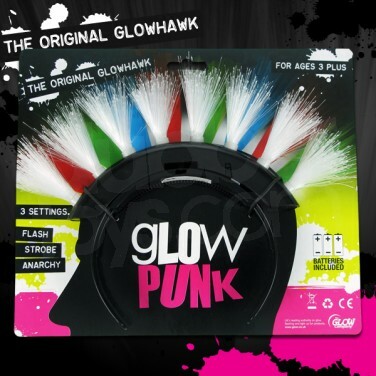 Flashing Punk Hair Tune in and rock out in an incredible Glowhawk made entirely from colour change fibre optics!